Since we had very limited Internet service the past two days, I will try to play catch-up to fill you in on what we have been up to. 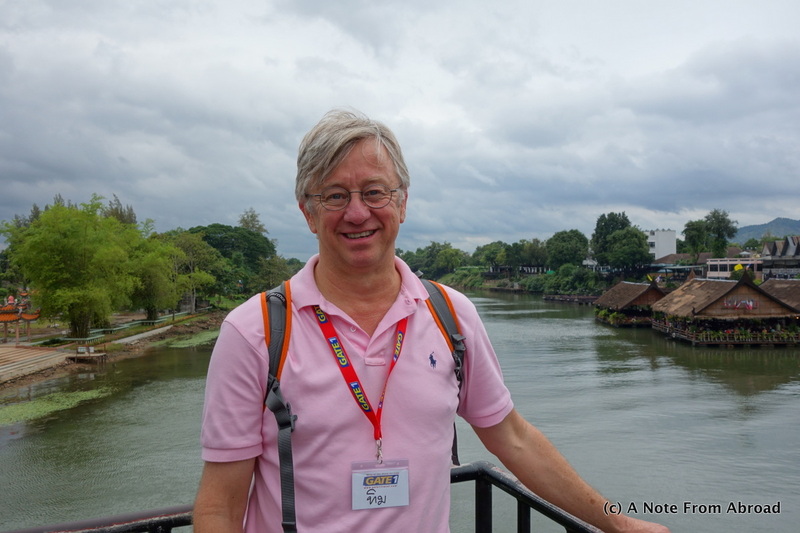 Saturday, November 16th, we traveled overland via our Gate 1 bus headed toward Kanchanaburi. 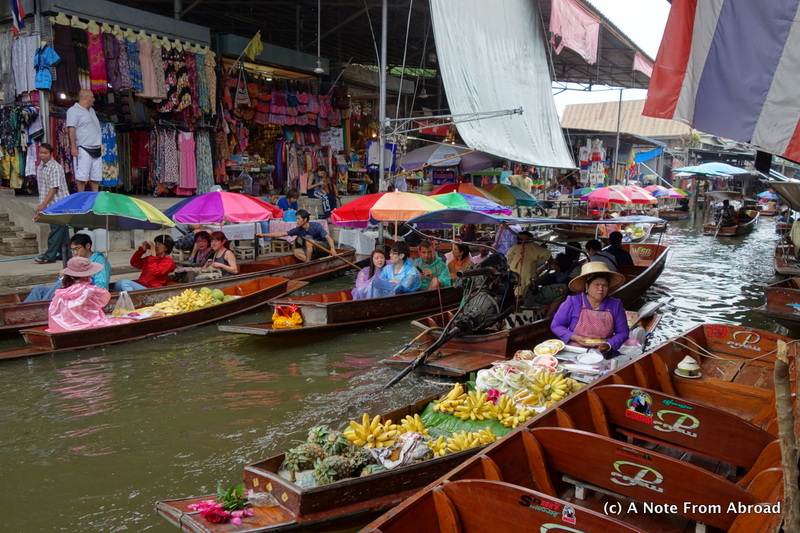 In the morning our first stop enroute was at the Floating Market. It was not what I had pictured in my mind, but interesting none-the-less. 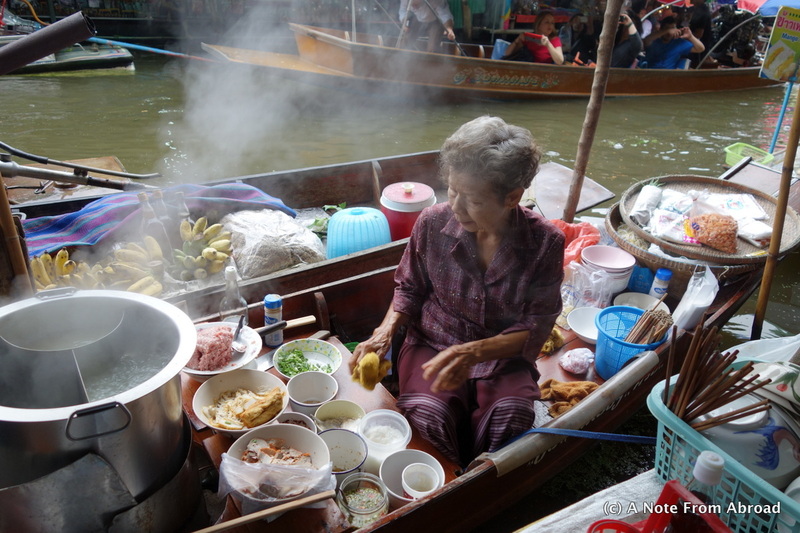 It was mainly women that were on small boats selling fruit or other edibles. Many were set up to cook right in front of us. 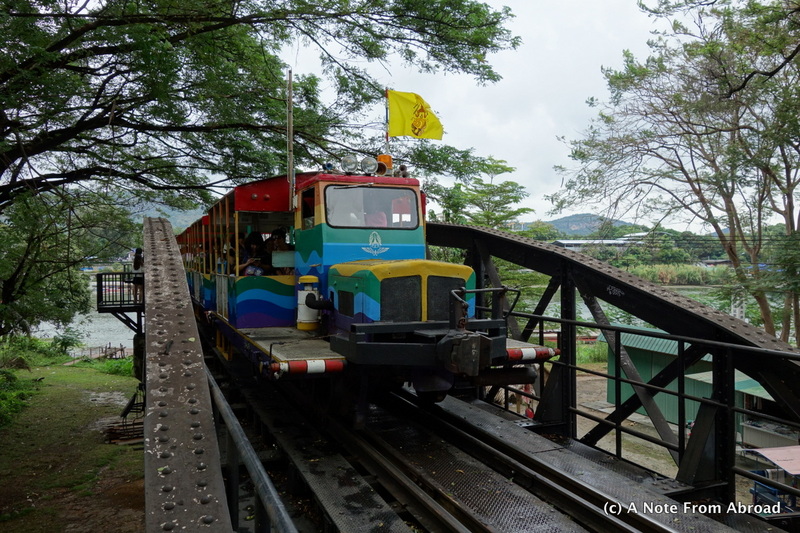 Then on to the Bridge over the River Kwai. The movie that many of us are familiar with was actually filmed in Sri Lanka, not here in Thailand. This is the actual bridge that the movie was about. We also toured the War Museum and visited the War Cemetery. Our overnight was in a lodge right on the river and the only way to get there was via a boat ride. The long tail boats are very narrow. They are not easy to get in and out of. 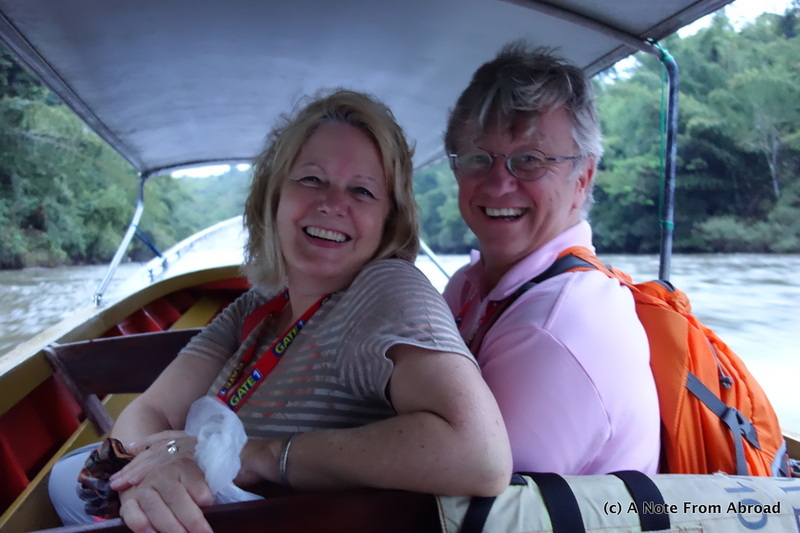 You are sitting on a cushion on the floor of the boat and get cooled by a splash or two of spray along the ride. 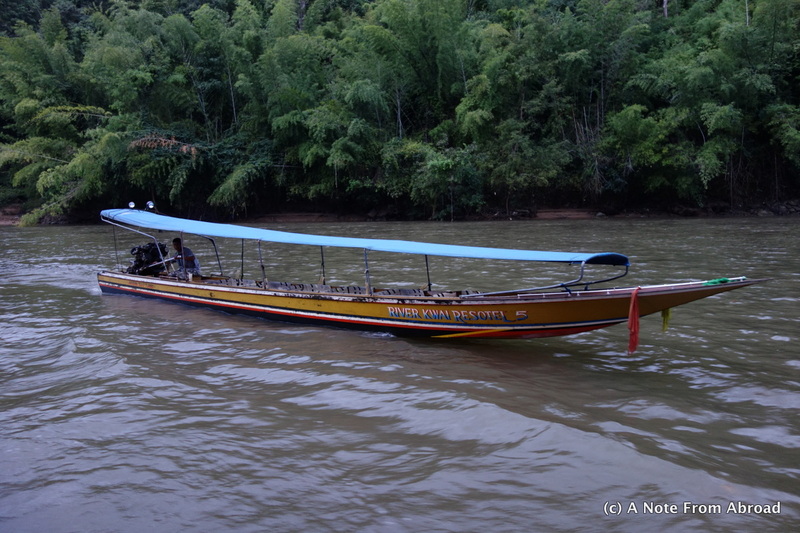 Our driver gunned it and we flew down the river. I was pretty damp by the time we arrived. Tim managed to slice the bridge of his nose open when getting out of the boat and was sporting a large bandage for a couple of days. Thankfully he heals VERY rapidly and is almost good as new now two days later. It was after dark by the time we got checked into our bungalow so I will update pictures from the resort on my next post. Thanks for taking the time to follow along with us! 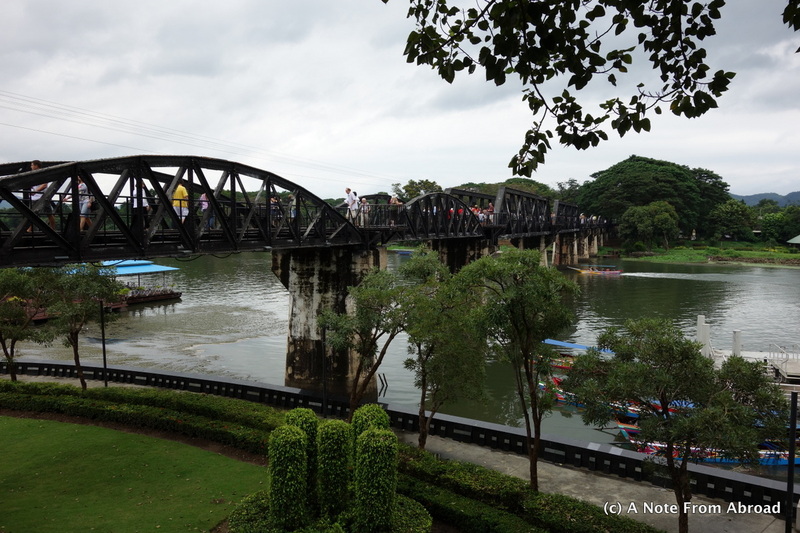 This entry was posted in Asia, Thailand and tagged Bridge over the River Kwai, Floating Market, Kanchanaburi, Photography, Thailand, Travel. Bookmark the permalink.